We have a selection of beautifully crafted handmade artisan jewelry available for purchase in the salon. These pieces make wonderful gifts -- whether they're for your loved ones or little treat for yourself. A jewelry collective that features brass, gold, ceramic, and bead work. These earrings, rings and necklaces are both earthy and delicate, a some of which display understated diamonds and lovely bead work. Each piece is unique and inspiring. These designs combine natural cut earthy stones and delicate brass and gold. Each of these pieces are one of a kind. Customization is available by request. Be the coolest kid in school with a hip new 'do. Book your eyelash extensions this summer and get a free luxury gift! Get luxe size samples of Surf Shampoo and Conditioner, Hairdressers Invisible Oil, and a few other goodies inside of the SURF CLUTCH, made from wet suit material perfect for the beach! New artwork by Jade Brady available for viewing and purchase at Waterstone Salon. Come into the salon during the month of July and get $5 off your Olaplex treatment! Olapex is your insurance. Take your hair to the next level without the usual damage. 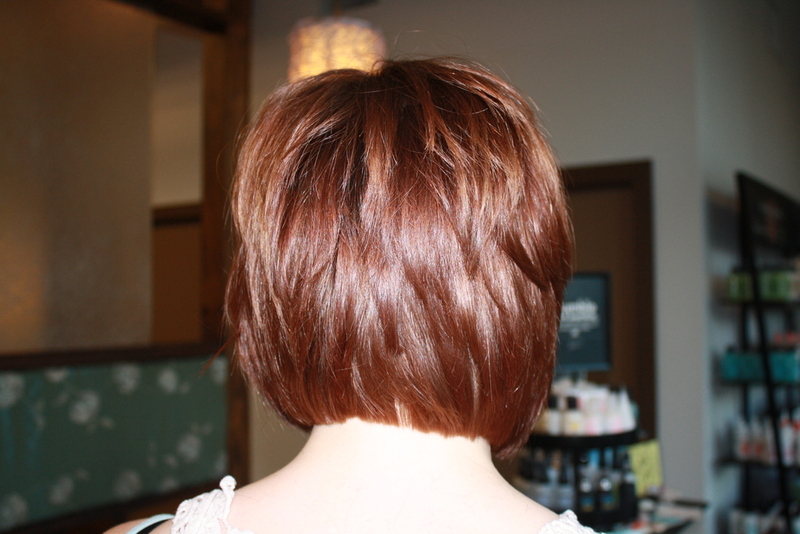 Dramatically reduce breakage and make your color last longer. 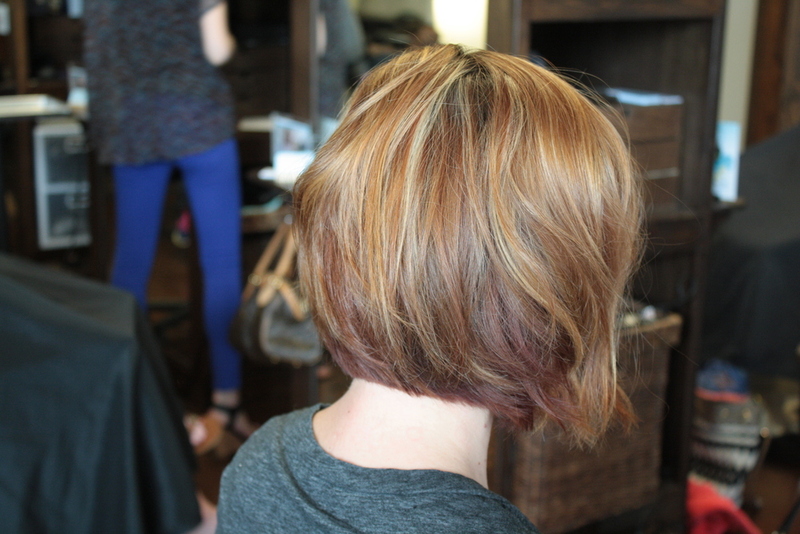 Olaplex can be added to your color process or performed separately to repair damage. Ask your stylist about Olaplex today! DEET is one of many harmful chemicals present in insect repellent. And, let's face it, when you spend and hour getting ready for a lovely summer garden party, dousing yourself with stinky insect repellents feels like your backtracking. In comes Intelligent Nutrients to save the day...these organic insect repellents smell like heaven and keep you protected without all of the harmful ingredients and harsh chemicals. It is light enough to wear daily and won't harsh your pretty. Intelligent Nutrients leaves you feeling lovely and clean. This product is also safe for use on children. As a parent it can be tough to decide between harsh chemicals or allergic reactions -- with intelligent nutrients the choice is easy. Intelligent Nutrients is available for purchase in the salon. Swing by and try them out! We are excited to introduce the new Bumble and Bumble air dry product Don't Blow It. Don't Blow It (H)air Styler, a first-of-its-kind air-dry creme, brings the best out of hair's natural texture, adds bounce and then vanishes without a trace (of product). Just a dollop makes hair more predictable, giving air-driers the confidence to go (almost) au naturel on days off from heat or high maintenance coifs. Rake a dab through clean, damp hair, scrunch or twist – and go.